I still remember how it felt when I first started studying Japanese and when I first started studying to be a translator, so I wrote these articles with that feeling firmly in mind. Whether you’re studying Japanese, translation, or just want to know more about how this stuff works, hopefully you’ll find these articles helpful and interesting. The English word "let's" appears in Japanese stuff everywhere, including video games. Here's why! If you don't know Chinese or Japanese, these easy tips will help you differentiate the two. The first Final Fantasy game organizes items in a weird order, but why? And how are words sorted in Japanese anyway? I glued a Super NES and NES emulator to a web browser to create a useful tool for fans, students, and others. When Is It Okay to Localize and Not Localize? Why does anything need to be changed in translation? Why can't everything just be a straight translation? Is This Snowy Translation Really Literal? A line of dialogue includes a translator's note about literal translations. What *is* a "literal translation", anyway? Jumping between languages is a tricky process. Here's one type of trap that fools every translator at least once. Were these crude, offensive lines added to the English translation? What are they in Japanese? Nintendo altered lots of games in the 1990s, but how did those changes affect Japanese games localized into English? Terrible things can happen when you try to translate your game into Japanese - here's how to avoid disaster. Japanese gamers play a lot of Western-made games, so which ones have the best localizations? How are modern, AAA English games localized into Japanese? Here are some specific examples. If you've ever considered studying Japanese or translation, this information will be useful to know. Pro translators have to do more than just translate - the business side of things is a challenge too. Game translation involves more than just text. If you're not careful, you could end up with problems like these. If you're hoping to learn a skill or start a career in any field, this is a helpful experience to learn from. Every professional starts from somewhere. This professional translator shares an early misstep in his career. Fan Translation: Does It Help or Hurt Getting Professional Work? Here's a quick summary of my own experiences as a professional translator and a fan translator. To some degree, most professional translators start out as hobbyists. Here's one such story. Get ready to learn (and smell!) 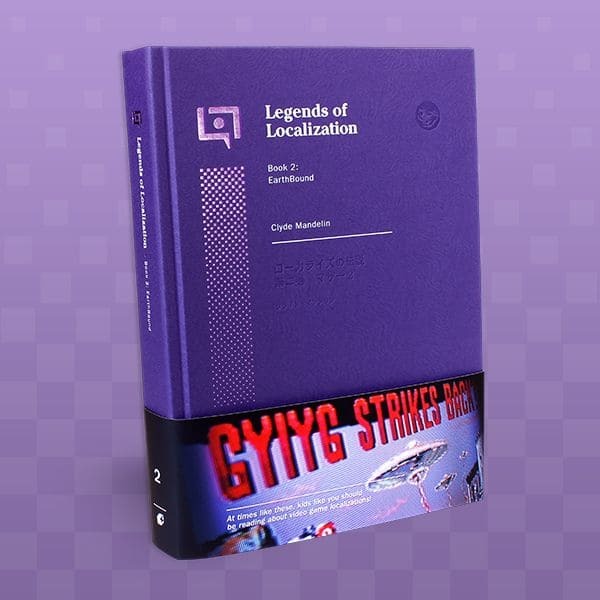 behind-the-scenes Nintendo history, the game localization process, and Japanese culture!